Etisalat Remote Tweak free browsing cheat has been blazing flawlessly for days now on Tweakware VPN and Stark VPN. As we all know on Tweakware VPN; before you start browsing unlimitedly on your Etisalat line using Tweakware app, you need to Install Etisalat Remote Tweak with an active data plan before connecting and finally start browsing. But now, you no longer have to install Etisalat Remote Tweak anymore on Tweakware vpn. I've put a stop to that. Why not give me a round of applause? lol. Now, to the main deal of this post. I've created a configuration file for Etisalat Remote Tweak on Tweakware. I'm sure by now, you must have known that Tweakware now support Tweak import and export. So now, you are going to import my config file for this cheat and start browsing unlimitedly on your Etisalat line. One thing i like about this import feature is that, you don't have to keep importing the config file each time you close your Tweakware app or rebooted your phone. It's now a tap and you are online, that's all. I will be dropping my settings as usual for you guys. My job here is to provide you all the latest free browsing cheats and the latest settings to them all. Just follow me along. ==> First of all, download and install the latest version of Tweakware v5.8 Here, if you don't have it. ==> Sharpen your Etisalat sim. Make sure there's no active data bundle. 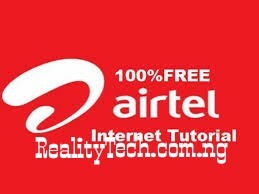 ==> Download Etisalat Remote Tweak config file Here. ==> Now, open your Tweakware vpn. ==> Goto Settings and tap on Import Tweak. Then, locate where you downloaded the config file and then select it. ==> After that, go back and select a Free server if you are not a premium user. ==> In the list of Tweaks, choose Import Tweak. ==> Finally, tap the Connect button. It will get connected within 10 seconds, and when it's connected, just launch your browser and start browsing, downloading and streaming movies. It doesn't disconnect at all. Even if you rebooted your phone or close Tweakware app, the Import Tweak will still be there waiting for you to Connect. All you have to do is just to Connect and start browsing. See how easy I've made it be. 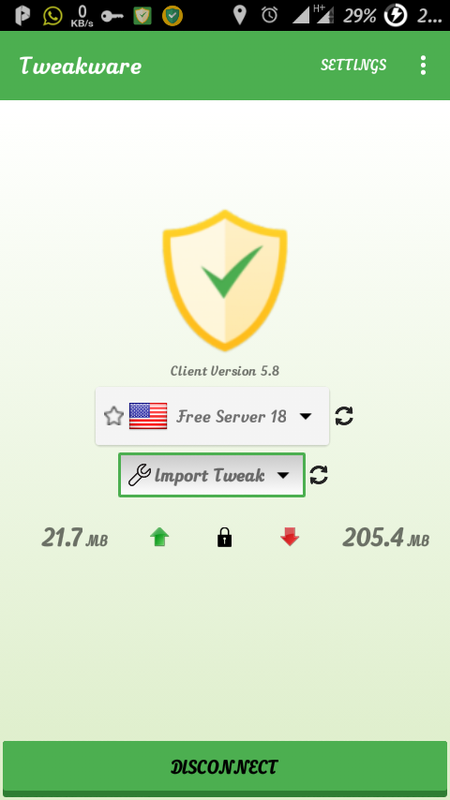 You Need A Premium/upgrade Account To Use Tweakware For Android Or You Can Use The Free Servers Without Upgrade/payment But You Will Be Limited To 350mb Per Day On Free Servers. upgrading To Premium Costs Only #500 And Gives Access To All The Servers Without Any Daily Limit (unlimited) and valid for 1 Month. Please friends, don't just enjoy this alone, kindly take a minute to share this post using the share buttons below. Are you confused or having problem while setting this up? I'm here to help, just comment below and i will reply ASAP. nie one bro....been thinking of such too.